The Simple Network Management Protocol (SNMP) is the dominant protocol in network management. SNMP Traps are unsolicited alarm messages sent by devices (agents) on the network to an SNMP Manager within an IT monitoring infrastructure. 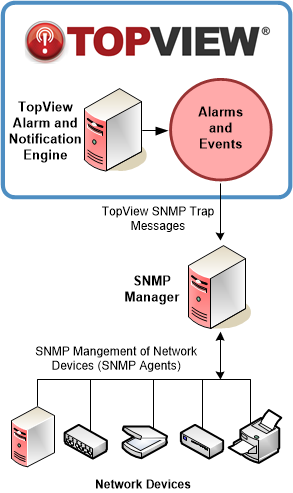 TopView can act as an SNMP agent that sends SNMP Trap messages for TopView alarms.